VW MULTIVAN Mk V (7HM, 7HN, 7HF, 7EF, 7EM, 7EN) 2.0 BiTDI MPV Diesel 09/2009 08/2015 FWD 16 180 132. VW MULTIVAN Mk V (7HM, 7HN, 7HF, 7EF, 7EM, 7EN) 2.0 BiTDI 4motion MPV Diesel 09/2009 08/2015 AWD 16 180 132. Multiple choices exist for:VW MULTIVAN 2.0 High Pressure Pump. FOR VW MULTIVAN T6. Fuel Type:Diesel. This is an original quality part manufactured by Bosch. PART CHOICE ALERT. Part specifications. 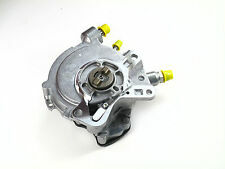 New Bosch Injection Fuel Pump 0445010507. Skoda Octavia II, SuperB, Yeti 2.0TDi. Audi A3, A4, A5, A6, Q5, TT, 2.0TDi. VW Golf V, Golf VI, Jetta III, Passat, Scirocco, Tiguan, Transporter 2.0TDi. Seat Altea, Exeo, 2.0TDi. VW MULTIVAN V (7HM, 7HN, 7HF, 7EF, 7EM, 7EN) 2.5 TDI 04/2003 -. VW MULTIVAN V (7HM, 7HN, 7HF, 7EF, 7EM, 7EN) 2.5 TDI 11/2003 -. VW MULTIVAN V (7HM, 7HN, 7HF, 7EF, 7EM, 7EN) 2.5 TDI 4motion 07/2004 -. Pump Type: Vane Pump. FOR VW MULTIVAN T5. 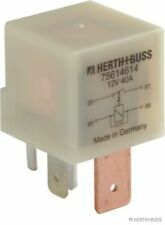 This is an original quality part manufactured by Pierburg. Vehicle compatibility. AUDI VW SKODA SEAT 2.0TDi ENGINES. VEHICLE APPLICATION. OE PART NUMBERS 0928400706. OLD PART CAREFULLY. SKODA 1K0906089A, 5N0906129B. VW 1K0906089A, 5N0906129B. 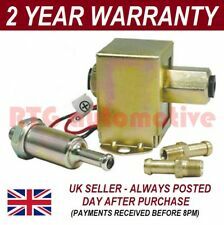 Fuel Pump In Line 0580464121 Bosch. Part Number 0580464121. AUDI 5N0906129B. SEAT 5N0906129B. BOSCH 0 580 464 122. Function Fuel Pump. 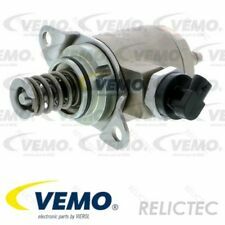 Equivalent Part Numbers: PIERBURG: 7.24807.18.0, BUGIAD: BGT00008, ERA: 559014, LuK: 561 0056 10, VAICO: V10-0733, VW: 070 145 209 F, 070 145 209 H, 070 145 209 J, WILMINK GROUP: WG1026906, WG1495416. Multiple choices exist for:VW MULTIVAN 2.0 High Pressure Pump. FOR VW MULTIVAN T5. Fuel Type:Diesel. This is an original quality part manufactured by Bosch. PART CHOICE ALERT. Part specifications. Q27168Q, Q32254Q, Q32261Q, Q32262Q, Q32269Q, Q32270Q, Q32271Q, Q3873Q, Q3874Q. Type: VW Passat Engine: 2,0 TDI. VW transporter BJ. For 2.0 CR diesel. Original fuel pump. 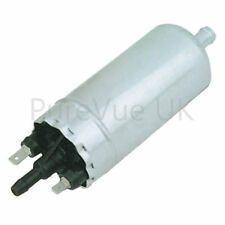 Donor vehicle read off Part Number: 1 K 0 906 089 A. fits the following vehicles. AUDI SEAT VW SKODA. If you require more photos these can be supplied. SOLD AS SEEN IN THE PHOTOS. Multiple choices exist for:VW MULTIVAN 2.0 High Pressure Pump. FOR VW MULTIVAN T5. Fuel Type:Diesel. This is an original quality part manufactured by Bosch. PART CHOICE ALERT. Part specifications. Vehicle compatibility. Pierburg was founded in 1909 as a steel trader in Berlin; in 1928, Pierburg commenced with the production of carburetors and very soon graduated into sole supplier to all German automakers and many international motor vehicle producers and engine manufacturers. Within the Kolbenschmidt Pierburg Group, Pierburg is the specialist for emission control, air supply, throttle valves and solenoid valves. VW PASSAT (3B2) 1.8 Saloon Petrol 01/1997 11/2000 FWD 20 115 85. VW NEW BEETLE Convertible (1Y7) 2.5 Convertible Petrol 07/2005 09/2010 FWD 20 150 110. 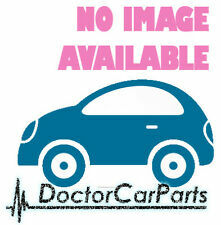 VW LUPO (6X1, 6E1) 1.4 Hatchback Petrol 10/2000 07/2005 FWD 8 60 44. FOR VW MULTIVAN T5. This is an original quality part manufactured by Elring. Vehicle compatibility. Part specifications. FOR VW MULTIVAN T5. This is an original quality part manufactured by Bosch. Fitting Position:Fuel Line. Vehicle compatibility. Part specifications. Q27168Q, Q32254Q, Q32261Q, Q32262Q, Q32269Q, Q32270Q, Q32271Q, Q3873Q, Q3874Q. Part Number : 0580464121. The Bosch Group is a leading global supplier of technology and services. If its sales and service partners are included, then Bosch is represented in roughly 150 countries. SKODA 1K0906089A, 5N0906129B. VW 1K0906089A, 5N0906129B. AUDI 5N0906129B. SEAT 5N0906129B. VW TRANSPORTER / CARAVELLE Mk V Bus (7HB, 7HJ, 7EB, 7EJ, 7EF, 7 2.0 TDI Bus Diesel 05/2011 08/2015 FWD 16 114 84. ). Skoda Fabia, Octavia, Superb, VW Bora, Caddy, Corrado, EOS, Fox, Golf, Jetta, New Beetle, Passat, Phaeton, Polo, Scirocco, Sharan, Toureg, Vento, LT, Multivan, Transporter. AUDI / SEAT / SKODA / VW 191 906 383 C.
VW MULTIVAN V (7HM, 7HN, 7HF, 7EF, 7EM, 7EN) 2.5 TDI 04/2003 -. VW MULTIVAN V (7HM, 7HN, 7HF, 7EF, 7EM, 7EN) 2.5 TDI 4motion 07/2004 -. Fuel Mixture Formation: Unit Injector System (UIS). VW 070 130 073 R.
# GENUINE SKV GERMANY - FUEL FEED UNIT - HEAVY DUTY. # About SKV Germany. Are you worrying how to proceed warranty if you are from different country?. For details seeWarranty Policy. Product Type: Fuel feed unit. Part Number : 0986437433. The Bosch Group is a leading global supplier of technology and services. If its sales and service partners are included, then Bosch is represented in roughly 150 countries. # GENUINE SKV GERMANY - FUEL FEED UNIT - HEAVY DUTY. # About SKV Germany. VW MULTIVAN V (7HM, 7HN, 7HF, 7EF, 7EM, 7EN) 2.5 TDI 4motion 07.04 - 11.09 128 174 2461. VW MULTIVAN Mk V (7HM, 7HN, 7HF, 7EF, 7EM, 7EN) 2.5 TDI 04.03 - 11.09 128 174 2461. FOR VW MULTIVAN T5. Fitting Position:in fuel tank. This is an original quality part manufactured by Bosch. Vehicle compatibility. Part specifications. FOR VW MULTIVAN T6. This is an original quality part manufactured by Elring. Material:FPM (fluoride rubber). Vehicle compatibility. Part specifications. High Pressure Diesel Pump 0986437433 Bosch. 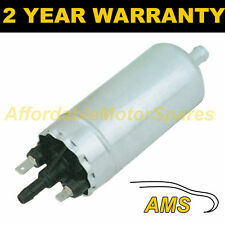 Part Number 0986437433. VW 03L130755J, 03L130755R. Fuel Mixture Formation: Common Rail (CR). Fuel Type Diesel. Model year from: 06/2010; Fuel Mixture Formation: Common Rail (CR). SKODA FABIA II Combi (545) 1.4 Estate Petrol 10/2007 12/2014 FWD 16 86 63. SKODA FABIA II Combi (545) 1.6 Estate Petrol 10/2007 12/2014 FWD 16 105 77. SKODA FABIA II (542) 1.4 Hatchback Petrol 01/2007 12/2014 FWD 16 86 63. FOR VW MULTIVAN T5. This is an original quality part manufactured by Elring. Material:FPM (fluoride rubber). Vehicle compatibility. Part specifications. FOR YEARS: 2010, 2011, 2012, 2013, 2014, 2015, 2016 (2015). Volkswagen Breakers. Seat Breakers. All A/C Compressors must have the A/C system flushed to remove any contaminants and the proper oils and Freon to be used.